A 70-year-old man has been charged after a three-year-old was hurt in an alleged hit and run in Aberdeen. 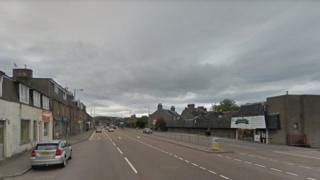 The collision took place on the city-bound carriageway of Auchmill Road in the Bucksburn area of the city at about 12:30 on Monday. The girl sustained minor injuries. Police Scotland - appealing for dash cam footage - said the man was expected to appear in court next month.